Chia seeds are known as a “superfood” for a reason. The seeds contain more omega-3 fatty acids than salmon as well as a wide range of vitamins and minerals. Chia is considered a ‘complete’ protein because it contains all of the amino acids essential to humans. It’s also low in calories. Absorbing up to 10 times it weight in water, the small seed becomes extremely filling. The seeds are also high in fibre, of which 20 percent is soluble. Soluble fibre helps maintain a healthy digestive system. It slows digestion, helping people with diabetes stabilise their blood-glucose levels and may also lower LDL cholesterol levels. As the seeds have a very mild flavour, they can be added to many of your recipes without you really noticing their addition. It’s great in cereals, soaked in coconut milk to form a pudding, soups, cookies and cakes. 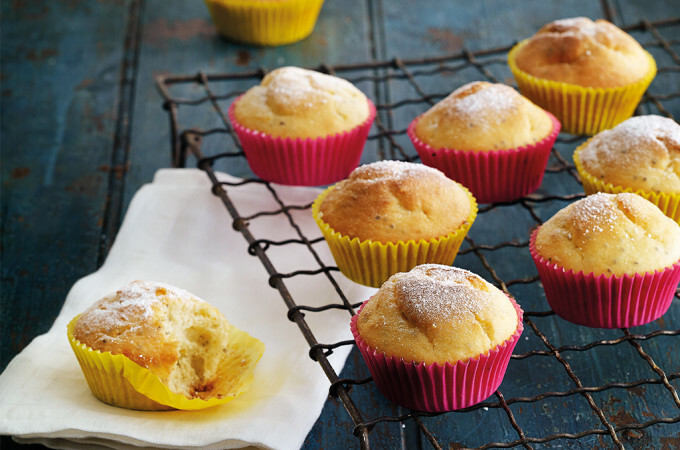 Our chia seed muffins will quickly become a gluten-free lunchbox favourite! Heat oven to 180°C. Place muffin liners in a 12-well muffin pan. Place flour, sugar, chia and zest in a large bowl. Stir to combine. In a separate bowl whisk remaining ingredients. When combined pour into dry ingredients. Stir to combine. Evenly distribute mixture amongst the 12 muffin cases. Bake chia seed muffins for 150-20 minutes or until a toothpick inserted into the centre comes out clean.